Tarot cards can guide and help you gain greater depth, insight, and objectivity into any situations you are dealing with right now. 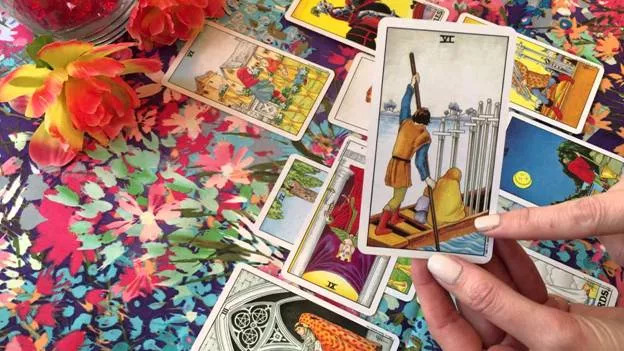 A tarot reading can help you understand more about your relationship and responsibility to any situation or issues regarding love, life change, as well as opportunities and many more. The tarot also can help you find clarification to solve any old problems or even new issues that occurs in your life as well as see other people’s motives more objectively. Tarot cards with it's meanings are a great tool for awareness and inner growth so please feel free to browse this site and choose the perfect tarot spread and information that suits your needs. Get Free astrology sign reading update on daily basis. "How do tarot cards work?" This is the question that crosses the minds of various people who are inquisitive about tarot cards and card readers. Most of the times people as to how a pack of tarot cards can reveal so much about somebody or a given situation. To be able to understand the function of the tarot cards we need to study the cards and their salient features. The cards can tell us a lot about ourselves as well as about the world around us. How do tarot cards work, is not an easy question to answer. It works particularly for those people who believe in the tarot reading. The functioning of tarot cards is described as synchronicity. We cannot exactly trace a method that would define the functioning of a tarot card. It cannot be determined like any other concrete form but there are a number of possibilities regarding their behavior. In order to find out the correct function of a tarot card, one must ask specific questions to the reader. The tarot card reading begins by shuffling a deck of cards and then spreading it in front of the person who wants answers to his question. The cards are placed with the obverse side facing downward. The advice seeker picks up some cards from the deck. After they are picked it is time to submit the cards to the reader. The reader spreads them out in a particular order which is known as a spread. One of the most popular spreads is the Celtic Cross which gives a special kind of reading. Different types of spreads provide different types of readings. The layout of tarot cards is changed based on the demands of the advice seekers. There are separate readings for love, relationships, career etc. Money readings require a completely different alignment of cards. Normally the symbols do not give out the meaning they seem to be. Instead, they provide a completely different insight. For instance, a death card does not necessarily mean that the person who has picked up the card will die. It has a different interpretation. The tarot cards provide various solutions to your problems from an absolutely different dimension. Sometimes people think that tarot cards deal with magic. However, in the present times, this notion does not exist since many tarot readers have become quite influential. To know how the tarot cards work you must visit a tarot card reader. There are two types of readings namely, open readings and question readings. The question readings are formulated to answer specific questions. While the open reading sessions answer the questions from a broader aspect. Tarot cards consist of various symbols like images, elements, colors, numbers, and astrology signs and archetypes that provide information regarding the person. The Major and Minor Arcanas deliver information. Major Arcanas provide information on the important events in one’s life and the Minor Arcanas tell about the experiences. Once you visit a tarot reader or use our free tarot reading app you will come to know how to do tarot cards work.